Post subject: What kind of tender trucks are these? A few years ago i bought a older photo copy on Ebay of a Lehigh Valley RR 4-4-0 loco & tender.What intrigued me to buy it was the odd and unusual looking wheelsets/trucks under the tender.Does anyone know what kind these are? Were they something that was maybe experimental? They look like they have a round end cap and i highly doubt they would be roller bearing in 1870! I've never seen trucks like these before on any old 4-4-0 loco & tender photo's before.The following information was scribbled in pencil on the backside of the photo. Picture taken at Coxten Pa. yard office in 1870. That builder was McKay & Aldus. Those tender trucks seem vaguely familiar, but if I have ever seen them, it has been rare. I am going through my books to see if I can find any photos of them. George Abdill authored several books full of photographs of pioneering era locomotives. I would say that at least 50% of the 4-4-0s use some version of the basic arch bar truck on the tender. And maybe 40% or so use the type of truck that has a big leaf spring that carries the side sills of the tender right down to the tops of the journal boxes. I have never been able to learn if that type of truck has a common name. It has a very different structural logic than the typical four-wheel truck. But the trucks in your photo are a real mystery. I can see some big rivets or bolts that are set crosswise to the frames in that downward arch region. I get the impression that there might be a “spring plank” that is semi-cylindrical in cross section like a trough, and it is joined to the side frames by those visible fasteners. It sure would be interesting to see what is going on between those side frames. That cab roof appears to be dome shaped atop a rectangular cab. I don’t know anything about McKay & Aldus, but that bell stand that has arms extended to hold the handrails is a Manchester Locomotive Works feature. Mason also used that style of bell bracket, and built some locomotives with tender trucks that match that photo very closely. However, Mason had hidden counterweights on their drivers up until the mid-1870's, and used spoked pilot wheels on just about everything they built. Interesting locomotive. inside frame design like the drivers. Pacific Slope Railroads by George Abdill, page 20, shows Central Pacific 4-4-0 No. 28, named GOLD RUN. Engine built by McKay & Aldus Iron Works, East Boston, MA. This locomotive has tender trucks appearing exactly as the LV engine in the photo in the first post above. However, the CP engine has spoked wheels on the rear tender truck and sold wheels on the front tender truck. In fact, with the exception of the tender truck frames, it appears as though nearly all of the details of the CP locomotive are different in configuration than the corresponding details of the LV locomotive. This CP locomotive is a wood burner with a funnel stack. Mason Steam Locomotives by Arthur Wallace, page 48, shows Cape Cod Central 4-4-0 named HIGHLAND LIGHT. Engine was the last locomotive built by Mason in 1867. It notes that the customer specified curved side frames for the tender trucks. The tender trucks have spoked wheels, and the truck side frames appear to be identical to the tender side frames of the LV engine in the photo above. Same book, page 45, shows Providence & Worcester 4-4-0 No. 32, named VICTOR. 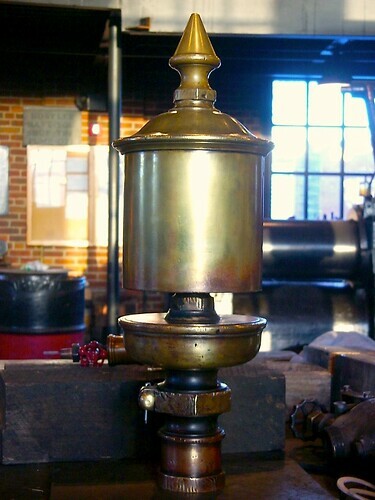 Engine was the last locomotive built by Mason in 1866. The tender trucks have spoked wheels, and the truck side frames appear to be nearly identical to the tender side frames of the LV engine in the photo above, and to the HIGHLAND LIGHT, except the VICTOR tender trucks appear to have rectangular journal boxes with the side frames butting into the sides of the journal boxes. The VICTOR has a bell support bracket with arms supporting the handrails, similar to Manchester locomotives and to the LV locomotive shown above. The HIGHLAND LIGHT also appears as a painting on the cover of The Age of Steam by Beebe and Clegg. From 1864-1869, MaKay & Aldus built about 100 locomotives with 37 purchased by the Central Pacific in 1866. They built locomotives for the Eastern, Lehigh Valley, and Chicago & North Western. That whistle on the Gazelle looks similar to a whistle that is found on a Mason constructed three years after that photo was taken. I recognized the trucks immediately as per the below, but Ron has already identified, as per above. Thanks for posting that picture Steve. There seems to be quite a bit of information on the HIGHLAND LIGHT. I found a couple more images showing somewhat different color schemes. All variations sure look nice. I can see why Mason was known for his sense of aesthetics. Here is a small image of low resolution. But it conveys fairly decent detail when you save it and blow it up. Here is a McKay & Aldus 4-4-0 showing the same type of tender trucks as the LV locomotive at the top of this thread. The locomotive was named, “Marlboro,” and sold to the Fitchburg Railroad. A famous Mason indeed! Wonder how the Highland Light became so well known? One of the illustrations is a contemporary painting based on the original lithograph, and another is also a modified version of the lithograph. I would consider the original lithograph the authority on the colors, at least as built. John White of the Smithsonian had a book out, titled "The American Locomotive, An Engineering History," and covered locomotive development up to about 1900 or so. I recall it has a section on tender trucks. I don't own a copy, but I wonder if someone here does, and if White has a section on just this design? In the Mason book I cited above, it comments that the Mason and many others thought the HIGHLAND LIGHT was the best looking locomotive Mason had built. I do not find any other explanation of why the HIGHLAND LIGHT seems to have garnered some fame. That second link to HIGHLAND LIGHT in my previous post contains quite a bit of information on Mason as a pioneer of locomotive architecture. In a general sense, it might be easy to regard all 4-4-0s produced in the 1850-1890 period as being approximately identical. But in looking closely to the range of development, it seems to me that there was a progression toward perfection in blending aesthetics and function that came to fruition and was in full bloom by the time of the late 1860s. As is pointed out in the current thread about locomotive colors, and in much other discussion here on that topic in the past, there is a popular tendency to believe that pioneering era 4-4-0s were painted in strong, gaudy color schemes. I believe I saw a comment to that effect by John White in his book, American Locomotives that I was just checking for information on tender trucks. These prints of the HIGHLAND LIGHT all show incredibly tasteful color schemes of paint color, Russian iron, and polished brass that look like the finest artworks. I can’t seem to post the direct link because it keeps crashing, so here is the link to the Google search leading to the book manuscript that describes the Marlboro. It is the first item listed at the top of this page of the Google search. It should open to page 42 of a book called Locomotive Engineers Journal. Scroll down to the bottom of that page, and the description begins the details of Marlboro, including the incredible coloring and finishing details. It would be interesting to make a color painting of the Marlboro from the monotone print, and use the colors in the above description. So, regarding the question in this thread title, I assume that the intent is to ask how the trucks of the example locomotive are constructed. In his book, AMERCAN LOCOMOTIVES, John White mentions the difficulty of producing a tender suspension system that rides well over the range of tender loading. The trucks of the LV locomotive tender exhibit stark simplicity, but what could possibly be going on in the shadows between the wheels? How common was it for tender trucks in the pioneering era to not be equipped with springs? Were any tenders of this era built with two four-wheel trucks that did not pivot? As to the trucks in question--blowing up the image seems to reveal some sort of transverse leaf spring arrangement, but I'm not absolutely positive of this. This also seems to be the case if you blow up the available images of the Highland Light. Those oval devices seem to be the ends of a bolster, and of course the truck would have a spring plank, as noted above. Looking at the blown up Highland Light images seems to reveal paired transverse leaf springs between the wheel sets. What is visible of the springs suggests they are relatively short, with a total of four springs per truck, the inside spring ends connecting to. . .maybe a second inside frame, making these trucks "double framed?" Such an arrangement, using both inside and outside frames, with four journals per axle, was not unknown on some steam locomotive pilot trucks of this era; it was touted as a safety feature if an axle broke. It wouldn't surprise me if someone would have applied this principle to tender trucks as well, although the double-framed locomotive trucks I've seen illustrated used the familiar longitudinal leaf springs. It is interesting that this truck design apparently shows up on several locomotives by different builders. Could it have been a commercial item, something offered by a "hardware" firm? I wonder how they are determining those colors. I am guessing that there are no historical color prints available, and that the only available references are written descriptions. For the green shown in the colorized B&W photo, I wonder what the reference description actually says, since there is a huge variety within the category "green." Generally, I conclude that the early locomotive colors were grayed or relatively closer to the center of the color wheel than the versions on the outside of the wheel. The green they have shown in the colorized B&W photo seems quite credible to me, although there would be many varities possible in that same neighborhood. To make the image more representative for judging the colors, I think they ought to colorize the black and/or gray parts of the locomotive with blue to represent the blue tint from the sky. Color photos of a shiny black locomotive on a sunny day always show the black as being blue-black. By leaving the black and gray parts simply as they appear in the B&W photo, and colorizing the green parts, creates a disconnect that throws the whole image off. That is interesting information that pilot wheels were equipped with bearings inside and outside of the wheels. I can see the point of doing this for backup against a bearing failure, however, it would seem to have drawbacks, particularly with bearing alignment with four bearings on a solid axle. I am guessing that McKay & Aldus and Mason built these tender trucks largely for their sleek appearance rather than any functional advantage. But whatever was going on in the hidden areas of these trucks, I suspect it is lost history unless it happens to be detailed in the Railroad Gazette, if that publication existed in the late 1860s. One possibility is that these trucks are just like conventional 4-wheel car trucks with spring planks, except the side frames have the bottom chord offset from the top chord, so that the top chord and springs are inside of the wheels and the bottom chord and bearings are outside of the wheels. With that arrangement, the truck bolster would end inside of the wheels, as it appears may be the case. And also, the spring plank would act as a cantilever beam between the loading upon it of the spring seats inside of the wheels, and the loading of it onto the bottom chords outside of the wheels. If this is how the trucks were designed, I cannot see any mechanical advantage. There may actually be a stability disadvantage in narrowing the stance of the ends of the truck bolster bearing upon the springs. We know that builders of this era were concerned with aesthetics, but for the most part, this was achieved in the overall balance and detail of basically standard functional components. So if the design of these trucks was predicated on aesthetics, it seems like a bit of overindulgence. However, we know that Mason did go so far for aesthetics that he hid the driver counterweights by placing the lead in hollowed spokes. But oddly, the visual lack of apparent structure of these trucks, while sleek, almost seems to backfire aesthetically, and leaves them a little ungainly looking.